The year’s online NBA betting action continues this Tuesday night with an enticing Denver Nuggets vs. Golden State Warriors matchup. The Nuggets don’t look that great as of late seeing as how they’re 2-3 in their last 5. The Warriors on the other hand, are 5-2 in their last 7 matchups and will be looking to take care of business at home tonight. So what kind of sports betting odds is Denver facing on the road this Tuesday night? The Nuggets enter this evening’s Western Conference matchup sporting a 51-25 record that ranks them 1st in the Northwest Division and 2nd in the conference behind none other than this evening’s opponent. As aforementioned, the Nuggets don’t bring much momentum into this contest. Coming off a 95-90 loss to Washington, Denver would love nothing more than a rebound against the top dog in the conference. Nevertheless, tonight’s lopsided online NBA betting odds make it perfectly clear that the bookies aren’t giving Denver any hope tonight. All in all this isn’t that shocking seeing as how Denver is 4-6 in their last 10 versus Golden State and 1-2 in their last 3. Additionally, it’s abundantly clear that Denver will struggle to keep Golden State’s pace. After all, they rank 19th in scoring while the Warriors wield the 2nd best scoring unit in the league. 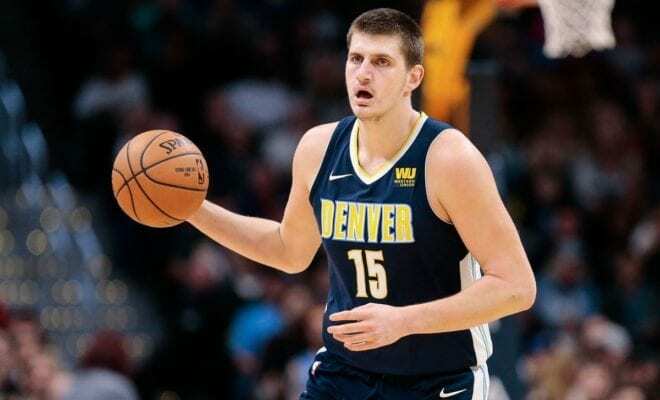 Players to Watch: Nikola Jokic (20.3 ppg, 10.9 rpg, 7.4 apg), Jamal Murray (18.2 ppg, 4.1 rpg, 4.8 apg), and Gary Harris (13.1 ppg, 2.9 rpg, 2.4 apg). 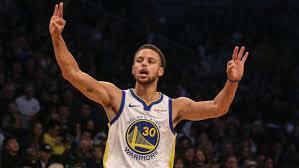 The Warriors leap into tonight’s matchup flashing a 55-24 record that pegs them as the best team in both the Pacific Division and Western Conference. Notwithstanding the current standings, Golden State hasn’t looked that great as of late. They’ve suffered some questionable blowouts and have also conceded a string of losses at home. So are tonight’s lopsided odds justified in favoring Golden State this heavily? Seeing as how the Warriors come in with a clean bill of health ready to take on the struggling Nuggets, it would seem so. At the present time both teams have clinched their playoff spots. While that may lead you to believe neither side has much to play for, there is undoubtedly a ton of bragging rights on the line tonight. After all, the Nuggets are but a game behind Golden State in the conference rankings. Players to Watch: Stephen Curry (27.9 ppg, 5.4 rpg, 5.3 apg), Kevin Durant (26.6 ppg, 6.6 rpg, 5.8 apg), and Klay Thompson (22.1 ppg, 3.9 rpg, 2.4 apg). So which side should legal betting fans take in this Denver Nuggets vs. Golden State Warriors matchup? All in all, Golden State is your best bet here. They’ve struggled at home as of late but are getting desperate for a rebound. Sign up today to make your online betting prediction! Score Prediction: 128-117 Golden State.